SDE has teams dedicated to every aspect of your employment in China. We employ foreign managers and teaching mentors to optimize our processes, mediate cultural issues, and create a smooth and happy work life to ensure quality teaching and job satisfaction. Each teacher is assigned a dedicated recruiter, visa handler and case handler. These team members are responsible for teachers’ recruitment, visa handling, and work and life in China respectively. Working and living in China, whilst massively rewarding, can also be a bit of challenge, with many cultural, regulatory and organizational differences that can surprise or frustrate many foreigners. Stemming from our extensive experience in handling these challenges, we believe it is essential to provide foreign teachers with professional dedicated support to ensure they are comfortable and happy and able to do their best work. ➣At Seadragon Education, Teachers focus on the delivery of well-planned oral English lessons. ➣Teachers are expected to conduct up to 20 (usually less) teaching hours per week Monday to Friday. ➣Teachers are expected to use a variety of delivery methods to engage students, and provide a supportive environment in which they can progress with their English ability. 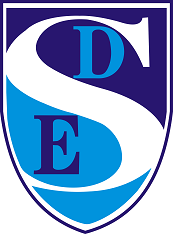 ➣The minimum requirement for a Teaching Role at SDE is a Bachelors Degree, 120 hour TEFL Certification OR 2 years of prior teaching experience, and a Passport from a Native English Speaking Country. ➣Experience: Applications are welcome from candidates with all levels of experience. Coaching, mentoring or tutoring experience would be beneficial, as would direct teaching experience. Higher paid roles are available to those with formal classroom teaching experience, as well as qualified teachers. ➣Other: Clean criminal record background check. ➣On arrival, teachers receive orientation training and are supported to find an apartment. Regular social events are organized to socialize and network with other teachers, as well as teacher training and mentoring sessions. SDE employs hundreds of Foreign Teachers from the UK, USA, Canada, Ireland, Australia, New Zealand or South Africa. Large welcome events are hosted for August and February arrivals, and ongoing events and trips are held throughout the year. SDE boasts one of the strongest and largest expat communities and is a great option for those concerned about isolation. 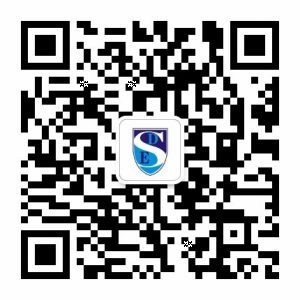 I live in China .Looking for primary teaching opportunities. Excellent! Our recruitment team will reach out to you by email.